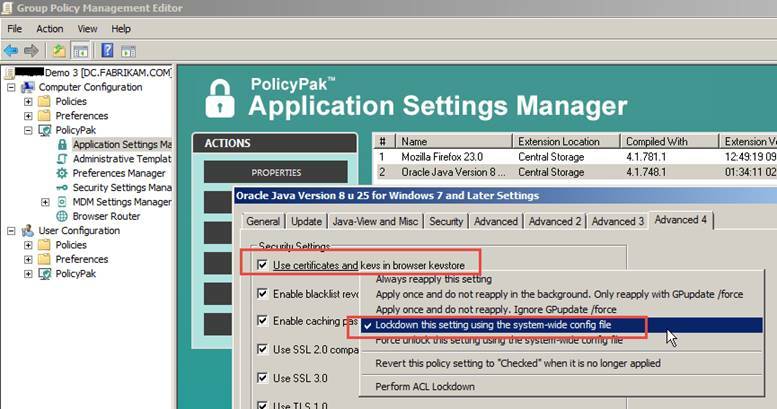 PolicyPak Applock™ is the ability to gray out or remove the UI from target applications. Let’s examine both and why AppLock might or might not work. AppLock can be managed on individual settings for applications like what’s seen here. 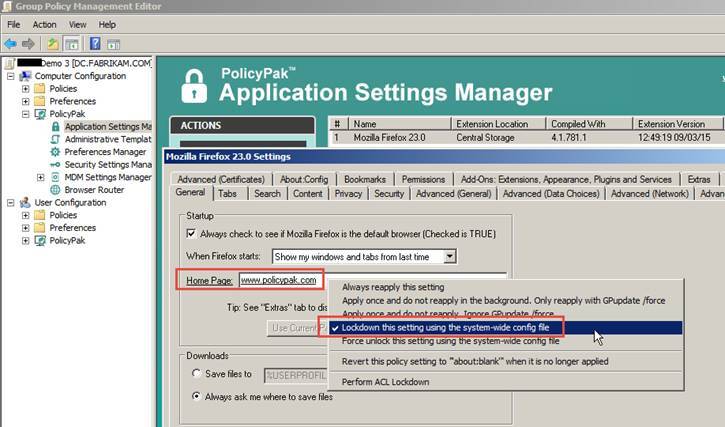 Note that PolicyPak AppLock options can only work onwell-behavedWin32 applications. Again, applications like WinZip or Acrobat Reader are good candidates, but Skype and Jing are not. You can still deliver SETTINGS to those applications; but AppLock is not guaranteed to work on all applications. In each of our Pak readme files, we describe if AppLock worked in our testing. That being said, AppLock might still not work for you when you go to try it out. OS matches (Windows 7 or later). Windows 7 (and test on Windows 10). If you attempt to use a preconfigured Pak, but you aren’t getting AppLock to work, it’s possible one of those three items in our Pak doesn’t match what you are using. Typically the problem is that we have made the Pak using US English version of the application, but the target computer is using non-US English version of the same application. In this case: Settings should apply, but the AppLock will fail to apply. Note:it IS possible re-capture the UI using the PolicyPak DesignStudio and then get the applications’ UI to lockdown. 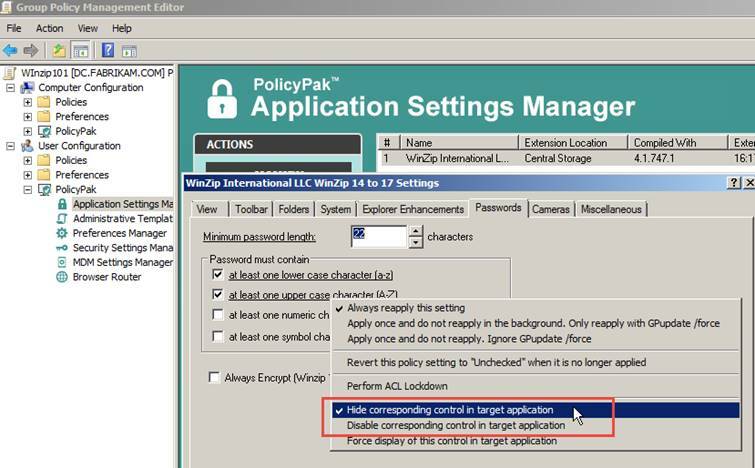 Alternatively, instead of locking down the UI, you could lock down the application’s data store using ACL Lockdown. If you do this, it should prevent users from working around the item, even if the AppLock doesn’t work. Three applications have built in (specific) ways to manage their user interface lockout: Firefox, Java and Thunderbird. With all three applications, when you perform UI lockout, you must do it for ALL users. And as such the Pak MUST be used on the COMPUTER Side (as seen here) or else the “Lockdown this setting using the system-wide config file” does not appear. This same option with the Java Paks. The UI lockout mechanism is completely different for these applications versus Win32 applications and as such is treated differently.